55 female with painful left bunion for many years. She opted for bunion surgery with Dr. Blitz in Manhattan. 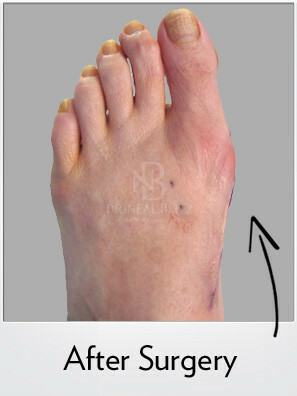 A Contours Lapidus Bunionectomy with Bunionplasty procedure was performed. Dr. Blitz’ techniques allowed walking on the foot immediately after surgery in a small surgical shoe. This patient did NOT require a cast, or daily use of crutches. 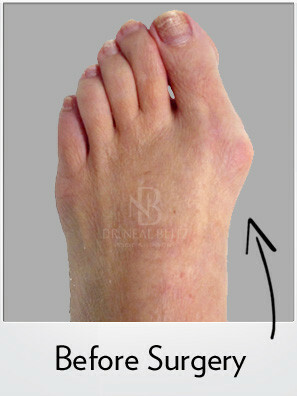 The before and immediately after pictures demonstrate the absence of bunion and improved alignment.